Hello and welcome back to Kids’ Corner week 10 – how fast has that gone!!! Big big thank you to everyone who has linked up to our linky so far your support has been amazing. 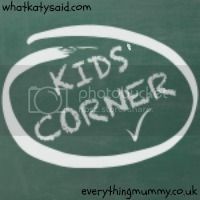 As busy mums, the lovely Katy from What Katy Said and I created the #KidsCorner linky as a place for us to share all things kiddy related, whether that be fashion, crafts, recipes, reviews or just what you guys have been up to recently. We are mums who love our children and we want to share and find inspiration from you and your wonderful kids too! A few linky rules, you are welcome to add up to 2 posts, new or old, to the linky each week, all we ask is that you add our badge and comment on at least 2 other posts to spread the linky love. We really want it to be a fun place to shareand everything to do with our children and we hope you will join us! Each week we will also be choosing our favourite posts to feature. First up this week is hosting a successful toddler play date from First Tooth loved it so funny and as a mum of three this sounds like my every day life!! Next post is from Mum In A Nutshell with a great gift idea for the teachers – so simple and I think home made thoughtful gifts like this mean so much more. Carolyn from Stylish Memories, thank you so much for taking part last week myself or Katy will be in touch soon. 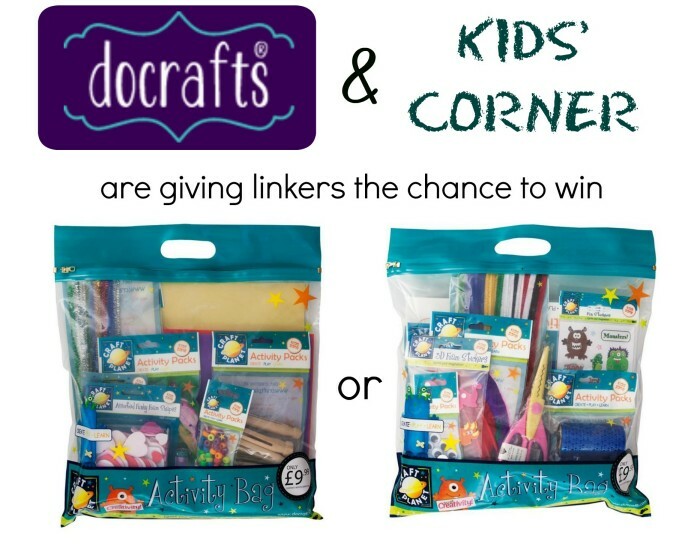 Remember, each week our lovely sponsor Do Crafts is giving us a great product for one of you brilliant linkers to win. All you need to do is link up your post and follow the linky rules to be in with a chance of winning, one winner will be selected at random each week! This week I am linking up our Colief Playdate and our summer holiday’s bucket list. Katy is linking up Having fun with the kids and the perfect school uniform we would love you to give them a read if you can.